Read the text and discuss the most acute problems of environment in Ukraine. ature protection, conservation of a favourable for life environment, ecological safety all together are becoming top national priorities in Ukraine. In this area the Ministry for Environmental Protection of Ukraine was organized in 1991. Ukraine has the possibility to play an outstanding role among the countries of Central Europe. However, this potential is hampered by many economical, political and ecological problems. high. In some cases this leads to accidental discharge of polluted waste-water to the outside environment. The Dnipro River, the main water-body of Ukraine, can serve an excellent example. The main pollution sources of air in Ukraine are thermal electric power stations and metallurgy that are emitting correspondingly 32% and 38% of the total pollution caused by stationary sources. Many enterprises of metallurgy, mining, etc. 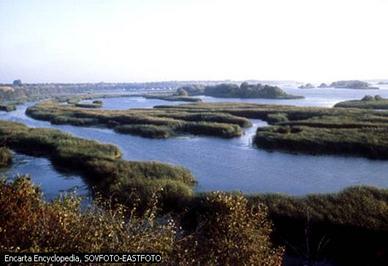 located in the Donetsk-Dnipro Region are one of the causes of the ecological crisis there. Every year the economy of Ukraine is consuming 1.3-1.5 billion tons of natural materials. Most of them are returned back to the environment as waste of industries and consumers. Up to the present day problems concerning the treatment and storage of highly toxic waste have not yet been solved: 2.7 million tons of such waste are now dumped in Donetsk Region, 3.2 in Dnipropetrovsk Region, 1.3 in Kirovograd Region. About 52% of toxic chemicals are utilized in Ukraine. Still a pressing problem in Ukraine is the storage of radioactive waste (RAW) and the use of radioactive materials. First of all, this concerns the enormous amounts of RAW resulting from the Chernobyl radiation accident. Secondly, attention should be drawn to more than one thousand sources of radiation that are being applied for industrial, agricultural, medical and scientific purposes. In the third place, more than 70 million cub. m. of RAW are dumped or stored by the uranium industry, mining and processing industries.